Eric Clapton entered the countdown state until the arrival in Japan for the first time in three years. A strange stereo sound board album that makes him revive twenty years ago appears. It is Japanese performance that is included in this work. It is “November 24, 1999: Yokohama Arena” performance which was carried out along with the announcement of the album “PILGRIM”. First of all, to discover the memory of 20 years ago, let’s review the schedule of the time and see the position of the show. This Yokohama performance is also a symbol of Japan’s visit to Japan in 1999. On that day a camera of a certain broadcasting association entered and it was aired on satellite channels. That professional shot image has become a big classic. This work is also the stereo soundboard sound of that TV broadcast. Why is it so … now, but the reason is quality. This is super – superb sound which is not extraordinary. This broadcast seems to circle to a half official DVD, I’ve heard it repeatedly watching repeatedly as far as it gets tired, but … I have never heard of this quality. The beauty of that ringing, noiseless luster, the vividness of detail, and texture level texture. Everything is different from previous officials and half officials. That sound is amazing from the beginning. 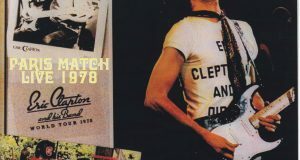 A cheerful applause for the appearance of Clapton, and an arpeggio to stuff … … The three-dimensional feeling is completely different from here. In conventional DVDs and sound-discarded CDs, it seems that this applause and guitar stuck to the flat plate, but this work is three-dimensional like one sound rises, spreads and disappears. It is even more amazing as the band enters. Is it easy to understand, is it a snare drum? In the previous episode, all the bands and sounds are on top of the flat plate, so details are crushed, and if the peak of hitting sound is also stuck, the disappearing super weak sound will be crushed and will not be heard. On the other hand, this work is beautifully left all its beautiful, and it feels beautiful until the moment of disappearance in the empty space. What is surprising is that it is a non-remaster. There was nothing wrong with the digital processing, the natural feeling of the time itself dominates the whole story. Of course, the departure was also more than enough at the official grade. However, this work is more than that. Is it okay to describe “Official name board class sound”? The more I listen with my headphones, the more I doubt that the difference was really the same broadcast. There is also a moment of being a transcendental sound to that extent. Actually, the master of this work was acquired with a special route. This is the same route as SADE’s shock work “PROMISE IN TOKYO (Wardour-194)” and JOURNEY’s “BUDOKAN 2013 (Zion-110)”, Jeff Beck’s “DEFINITIVE TOKYO 1999 (Wardour-275)”. 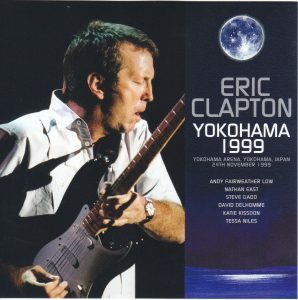 In other words, it was brought together with Clapton’s “BUDOKAN 2009 5th Night (Tricone 159/160)”. I arrived there was a video master of Pro Shot, initially surprised by that beautiful image beauty, but the sound was more amazing. In order to realize its real dreadfulness, I dare took a permanent preservation press conversion as a live album without images. Anyway, why is it so different with the same broadcasting? Although there is a mystery in its method / reason, the sound as evidence is still here. 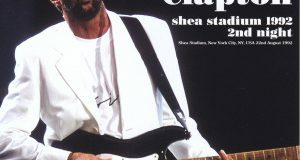 Moreover, it continues to prove as SADE, JOURNEY, Jeff Beck … …. If you have touched one of the albums above, you may feel that you are never an exaggeration. It is the latest work of the transcendental sound board of such a special route. Actually, it is an abnormal board standing in the dimension of the vertex even in the rank called “official class” which is pinch of. Literally, the world of beauty where respiration stops when you notice it. 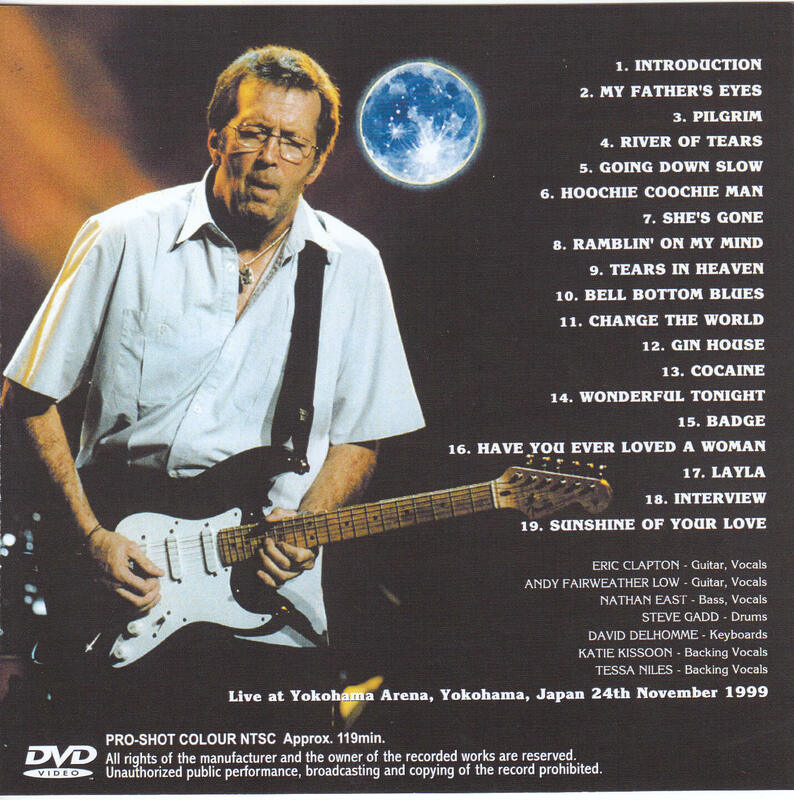 Waiting for Clapton’s re-visit now is the paradise of the sound you want to taste. ★ It is unbelievable upgrade master. Topic noisy! ! Main part press 2CD is a superbest stereo sound board album of a miracle from which common mind noise is outflowing. I touched on its commentary, but the master was a Pro Shot video in the first place. I made it as a live album in order to enjoy the unusual sound quality, but the picture is also beautiful. Therefore, we will also include a bonus image of Omoto. For that reason, the work included in this work is the same “2 November 1999: Yokohama Arena” performance as the main press press 2CD. It is that multi camera · pro shot. It is something I’ve already introduced with gift titles five years ago, but its visual beauty is overwhelming. Originally it was the 1st Geni’s VHS cassette, but there was no dubbing trace in its glossy coloring and vivid edges, there was no tape noise or aged deterioration rather than white line noise. Although there is a logo mark of the broadcasting station, it seems that it will be an air check, but the quality itself is as if it was thought that it was done also as an official release with a laser disk. And it is speech that exceeds such beauty. Although it avoids repetition of main part press 2CD, even if it sheds in BGM, I turn around the screen without thinking “something different until now”, and consciousness is sucked to the speaker. I will return it, it is mysterious how I can record with such quality. The quality depicted by that quality is a wonderful show that jumps over twenty years’ time in a blink of an eye. The set features a new work “PILGRIM” then, especially in the first half “PILGRIM” number aligned with the slurry. And the latter half was a rush of the great songs of the former years. It’s a sharp carry with a refined and refreshing feeling. In general, I can understand the official work “ONE MORE CAR, ONE MORE RIDER” released three years later, but there are four songs “Pilgrim”, “Ramblin ‘On My Mind”, “Bell Bottom Blues” and “Gin House” Number that can not be seen. 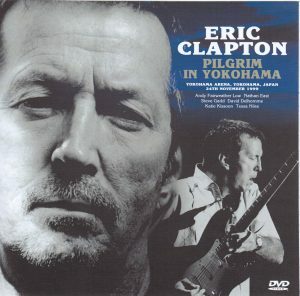 Especially the title song “Pilgrim” is precious not only playing at that time. And the acoustic set including that “Ramblin ‘On My Mind” “Bell Bottom Blues” is a sightseeing. 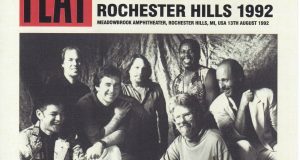 “Ramblin ‘On My Mind” plays as if Robert was transferred, and the bands also participated in the three songs “Tears In Heaven”, “Bell Bottom Blues” and “Change The World”. 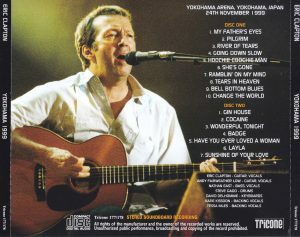 “Tears In Heaven” ‘s rustic taste, coming with “Bell Bottom Blues” with great impression, coming with “Change The World”. Listen carefully to the intro in the duo with Nathan East, and when entering the song, the entanglement with Andy Fairweather Row is also wonderful. What is going on further is “Gin House” which can not be seen in “ONE MORE CAR, ONE MORE RIDER” again. Although Andy is a lead vocal blues, Clapton’s solo devoted to the guitar is amazing here. Although I sit down and feel comfortable at first, although I am leaving myself to beat, when I become a solo it stands up and starts to pop up hotly and hotly. All of these delicious scenes can be enjoyed with official-level images and more sounds. Twenty years ago live in Japan left with quality like a miracle. Especially overwhelming sound board sound has been permanently preserved, but the real value of the show is only accompanied by a spectacle. The sound is good and the picture deepens so far … … It is a superb one that you can feel it. Please, please cautiously coincide with the miracle live album. PRO-SHOT COLOUR NTSC Approx. 119min.